It has been rainy summer but yesterday I shot this one. This is not as good as I wanted but this is good enough. 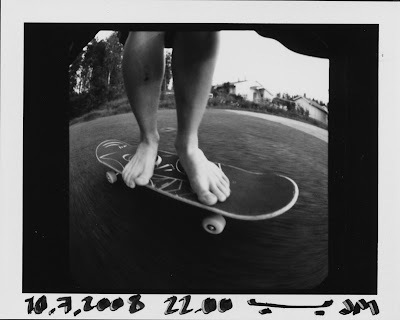 Its nice ride without shoes if you have a old deck. And yes, those are my legs. This would make a great album cover. Hehe, maybe. But I think I have to shoot this again because this idea is good but photo could be much more better. Thanks for comment.